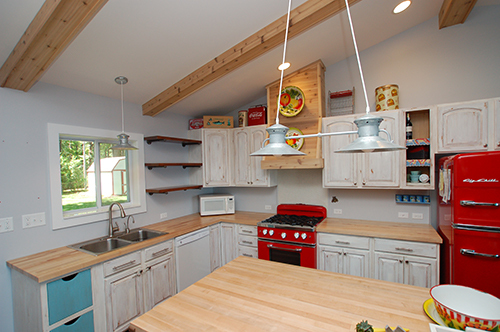 Give your Kitchen a facelift with our custom countertops! Maximize your closet space with our custom closet designs! with our custom digital design rendering! Specializing in custom cabinetry, countertops and closet organization systems, Nowak Cabinets of Midland is your go-to source for quality materials and exceptional craftsmanship. Our cabinets and countertops come in a wide variety of styles and materials, and we work with every customer to help bring your dream home to life with these additions. Contact us today to consult with our experts! Cabinets, countertops and closets are abundant in any home. Personalizing these features around your needs, wants and home design is a great step towards making your current home into your dream one. If you’re updating your countertops, improving your closet space or making the investment in custom cabinets in Midland, MI, be sure to choose Nowak Cabinets of Midland. Not only do we provide you with an extensive range of material and style options, our expert craftsmen help you customize each of these products for your home! Count on us to design countertops, cabinets and closets, then mock up digital renderings for you to see exactly what these installations will lend to your home’s appeal. Whether you’re just interested in basic, builder’s grade cabinets or you’re going all-in on luxury, stone custom countertops in Midland, MI, we welcome your needs! With a fully-stocked showroom, we can help you evaluate your options and answer any questions you might have about the materials we offer. Plus, we make it easy to consult one-on-one with our designers to iron out any of your ideas and put them on paper. We’ll work with you all the way through installation—all you have to do is tell us what styles, materials and colors you want from your products. We’ll do the rest and help you bring your home to life with stunning cabinets, countertops and closet systems, made specifically for you. We have an on-staff interior designer who can provide digital renderings of your custom cabinets, countertops and closets, so you can see exactly what they’ll look like. Our showroom contains an immense range of cabinet and countertop options, ranging from builder’s grade to high-end styles. We’re members of the Midland Home Builders Association (MHBA), the National Home Builders Association and the local Remodelers Council. We’re a fully licensed and insured business, family-owned and -operated and committed to quality craftsmanship and customer service. With digital tools at our disposal, we can design any cabinet, countertop or closet solution you might be dreaming of—specifically tailored for your home. We only use the highest quality materials to provide the highest quality workmanship. From your kitchen to your bathrooms and wherever else you demand quality cabinets and countertops, our team is ready to bring them to life in a style that best fits you. Contact us today.